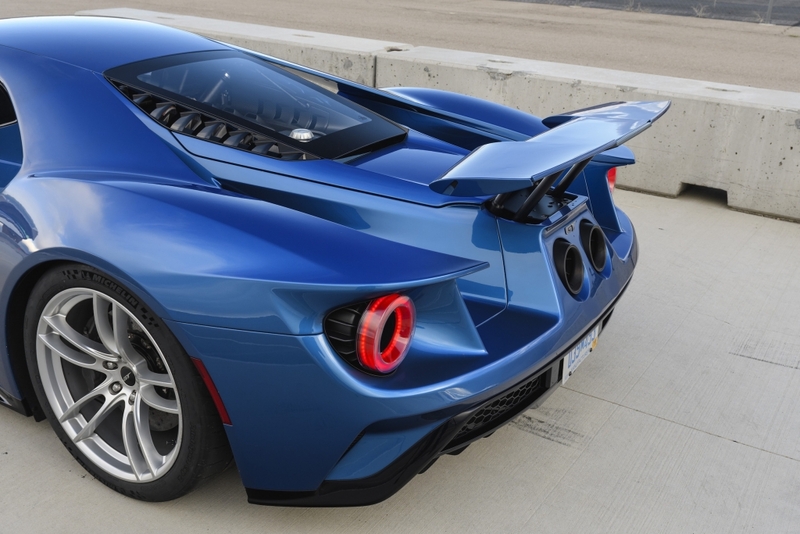 The 2017 Ford GT is a bit of unicorn. It is the mythical beast that spectacularly arrived out of the blue at the 2015 Detroit Motor Show and subsequently stole almost every column inch in every motoring-related title, only to fade back into relative obscurity once the initial hype had died down. That is until the legend returned with a bang and went on to win its class in its debut outing at the 2016 Le Mans 24 Hour race, all with a relatively limited amount of development time and stiff competition from the pure performance manufacturers. 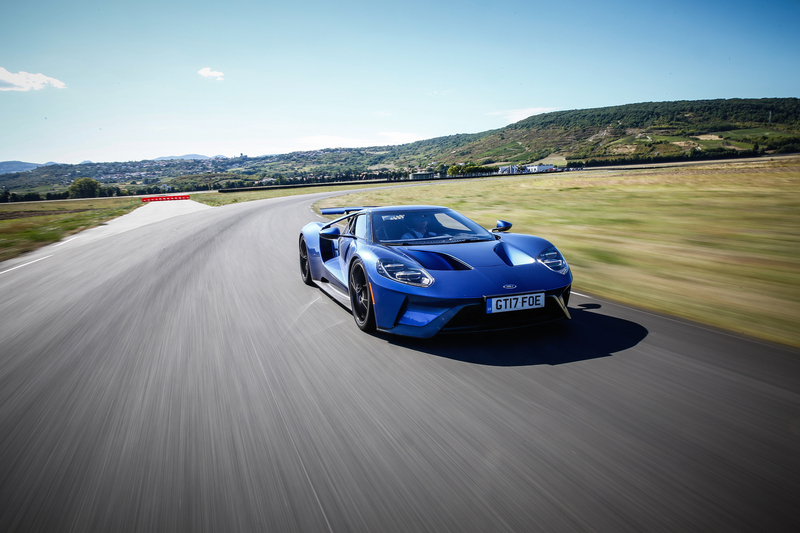 In short, the modern Ford GT is a gob-smacking accomplishment – especially considering its maker earns a crust selling Fiestas by the bucketload – but it also a machine that is shrouded in mystery and folklores about the near-impossible buying process and tetchy PR teams reluctant to let any old fool go for a spin. 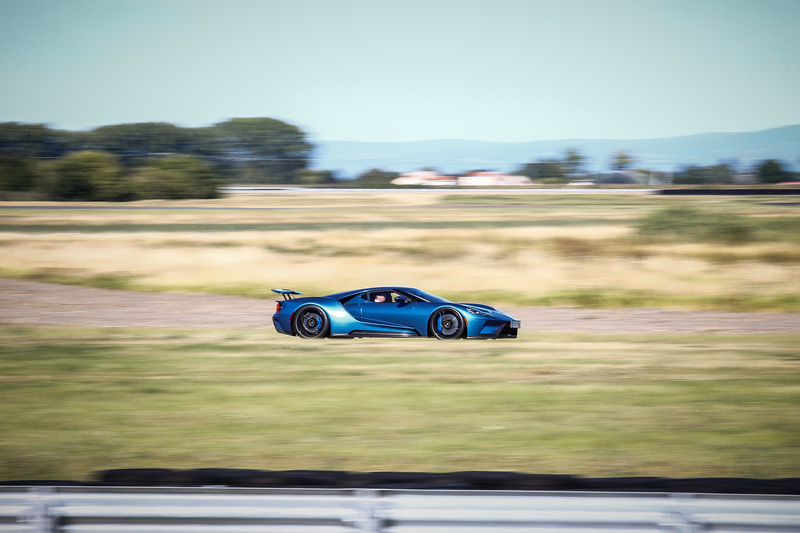 As a result, opportunities to get behind the wheel of this £350,000 supercar are rare as rocking horse excrement, so when Flat-Out was invited to Michelin’s top secret testing facility in Ladoux, France to get behind the wheel, we practically feinted. After all, this is a car that was so secretive in its development stages that only a handful of select engineers had a key to the basement in which it was built to avoid the inquisitive eye and loose lips of Ford security guards. “This car had to bear the weight of success and fame that the Ford GT40 had garnered over the years,” explains Jamal Hameedi, chief engineer at Ford Performance, as we share a beer and a chat before our big drive the following day. “We knew that it had to feature some of the hallmarks of the original car, like the circular taillights and the big nostrils in the bonnet, but it also had to be completely modern, cutting edge and able to compete with the current crop of hypercars,” he adds. In short, Ford decided to revive the GT badge simply because its pumped-up Mustang was too beefcake to compete in endurance racing. The bodywork is too blunt and the amount of aero work it would need to race would take it away from its muscle car roots. 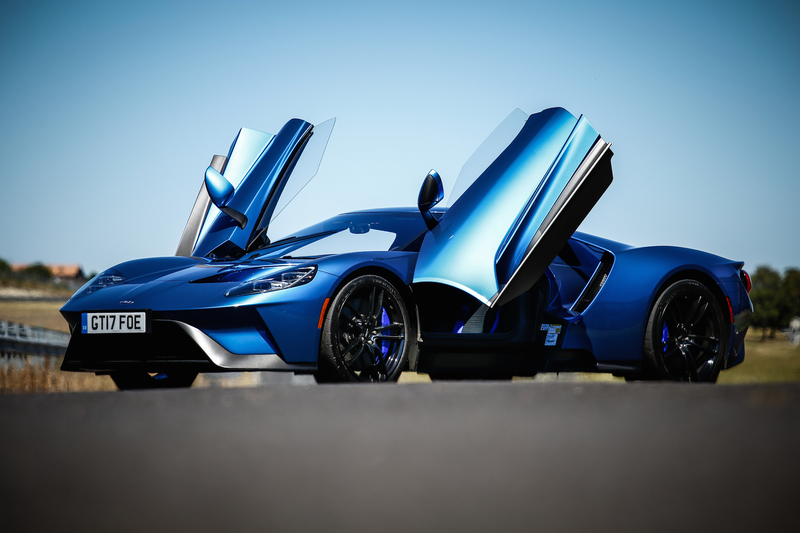 The next natural option was to look towards the Ford GT40, a vehicle that has won more prestigious titles than any other road-race car in history and has been tipped for a resurgence by every motoring journalist since the 2002 GT40 was unveiled by Ford at the Detroit Motor Show. 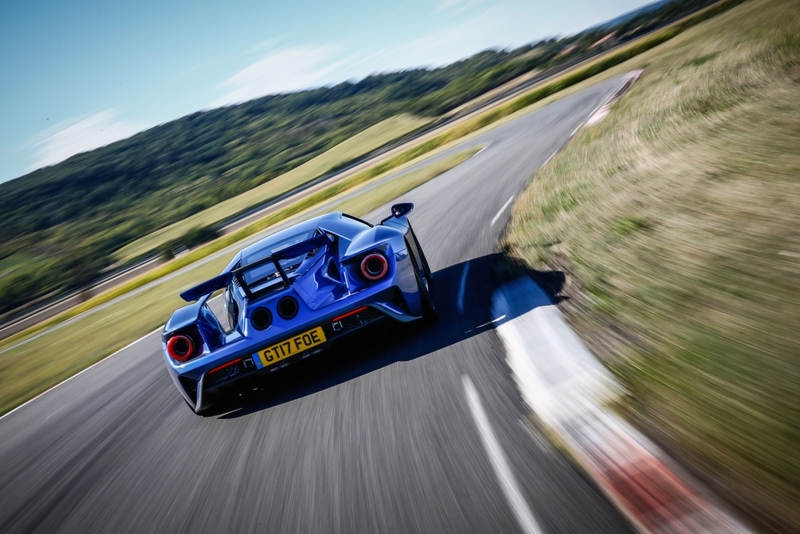 And the culmination of year’s worth of secretive development work is stupendously seductive to behold, with the modern GT sitting just millimetres from the ground, the cabin almost disguised in the centre of sharp bodywork and a clearly visible Ford EcoBoost engine jutting out of the rear. It is low and menacing, with slashes and inlets covering almost every surface, but it is also extremely beautiful to behold, managing to fuse retro charm with modern, space-age aerodynamic touches. Naturally, the first complaint from supercar fanatics is the use of the 3.5-litre V6 EcoBoost engine, rather than a fire-breathing V8 from Detroit, but to get hung up on displacement is to miss the point of new Ford GT entirely. 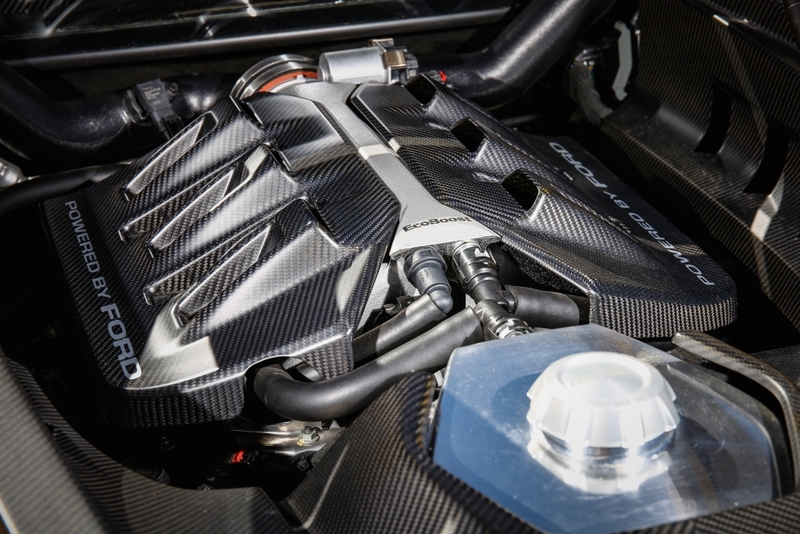 The compact six-cylinder design of the car’s EcoBoost powerplant allowed the team to taper its fuselage to more efficient dimensions than a larger V8 configuration engine would have allowed. Plus, this powerplant also shares 60 per cent common parts with the F150 Raptor pick-up truck, meaning it is tried, tested and built to last, cutting down developmental time considerably and freeing up resources to work on aero gains. Plus, with some 647hp the engine is capable of propelling GT to 62mph from a standstill in just three seconds and on top a top speed of 216mph, so it’s certainly no slouch. 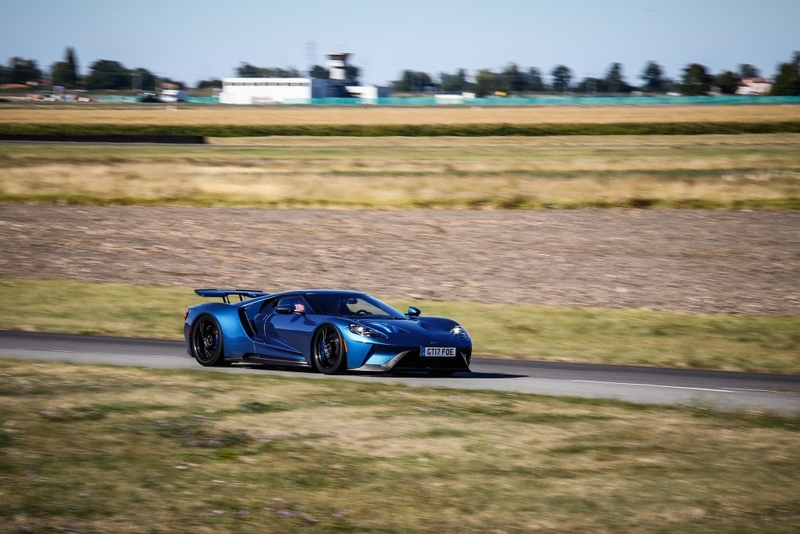 But straight-line performance isn’t the GT’s main goal, for this is a vehicle that has been relentlessly designed and developed to attack a race circuit like no other. Take the rear wing as an example: not only does it work in conjunction with hydraulic flaps at the front of the car to offer the perfect amount of downforce for excellent chassis balance, it also features a patent-pending design that changes the shape of the aerofoil for maximum efficiency when fully deployed. This unique piece of technology includes a small gurney flap, which deploys at the tip of the wing in certain scenarios, resulting in a 14 per cent improvement in overall aerodynamic efficiency. There is also plenty going on underneath the car, with complex underbody flaps opening and closing to channel air behind the wheels and out through the slashed duct that runs along the flanks of the car. In short, nothing on the Ford GT is for show, it all has a purpose and that common goal is to make the machine go faster. Clambering into the upward-opening scissor doors and over the tall hip of the carbon tub isn’t exactly easy but once settled into the thin race seating, it feels strangely comfortable. 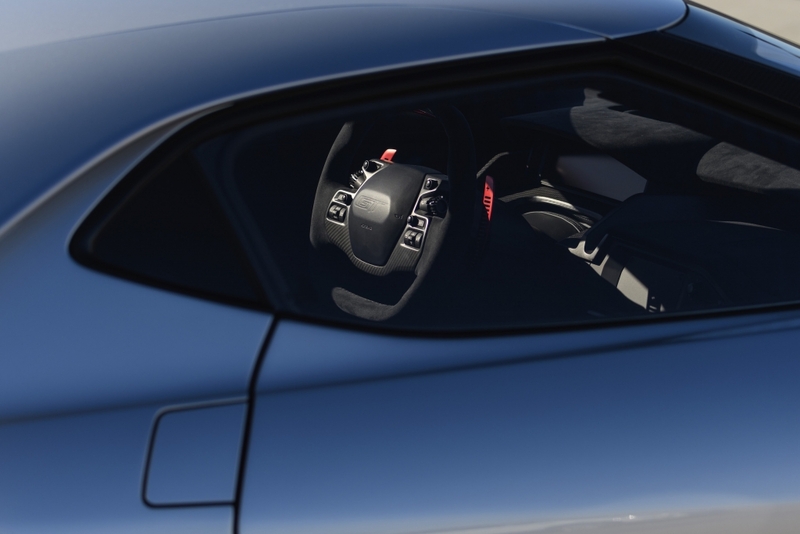 Said seat is bolted into the tub itself in order to save weight, but to ensure everyday usability, Ford designed a steering wheel and pedals that slide back and forth independently to fit most driver heights. The interior is tight and as a driver, you feel placed right in the centre of the vehicle, such is the position of the steeply raked windscreen and glasshouse, while the cockpit also benefits from a pared back version of the race car’s roll cage. As such, visibility should be an issue, but despite a full race harness, helmet and HANS device limiting our movement, it’s actually quite easy to place the car as we cruise around Michelin’s facility towards its impressive test circuit. The same is true for manoeuvrability, with the seven-speed dual-clutch auto transmission proving smooth and manageable even at crawling speeds and there’s a staggering amount of steering lock for a supercar. There are few complaints about the soundtrack too, as the highly-strung V6 enters the cabin with all the fury of a Le Mans racer as soon as the ignition button is pressed. Our co-pilot struggles to relay directions over the cacophony of engine and mechanical noise. We have the circuit all to ourselves today and the first stretch of track is a long straight that allows us to immediately open the taps. With Ford GT in Track Mode, it is at its most aggressive, unleashing full power from the engine via the most sensitive throttle response and immediate gear changes, as well as employing every piece of aero trickery available and spectacularly lowering the suspension to its very lowest setting. Acceleration is blisteringly quick, with the mighty V6 engine screaming away behind the driver’s head, filling to cockpit with delicious noise. 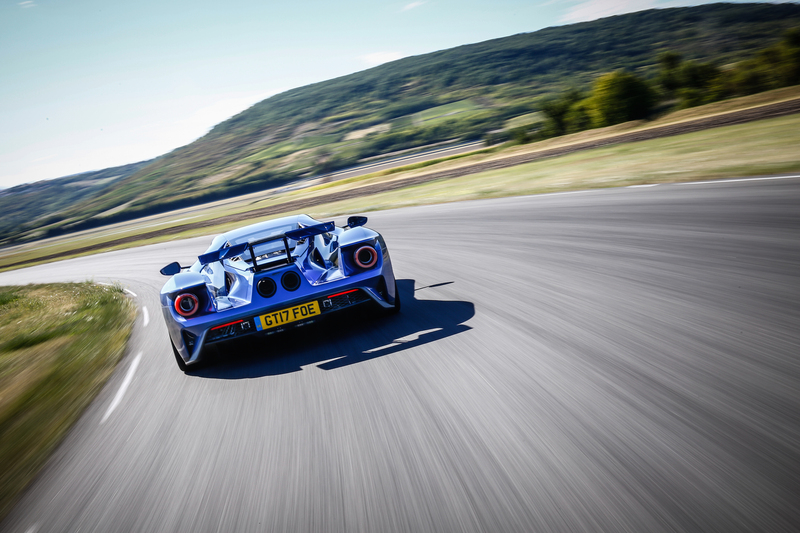 There is little time to comprehend the first corner, as it arrives so fast, but the Ford Performance driver crammed into the passenger seat signals that carrying this sort of pace through turns is perfectly normal. He actively encourages us to push on with some frantic gesturing and a maniacal grin. Beautifully weighted and precise steering means it is possible to select a turn-in point and dart towards the apex with breath-taking accuracy, while the sheer amount downforce created by the numerous engineering breakthroughs allows the accelerator to be nailed almost immediately. We were treated to just a few laps of the circuit before it was time to bring the GT in for some photography and a general cool-down. It was no way near enough to even scratch the surface of what this machine is capable of but provided enough of an insight into the sheer weight of technology that goes into making a machine so devastatingly quick around a circuit. 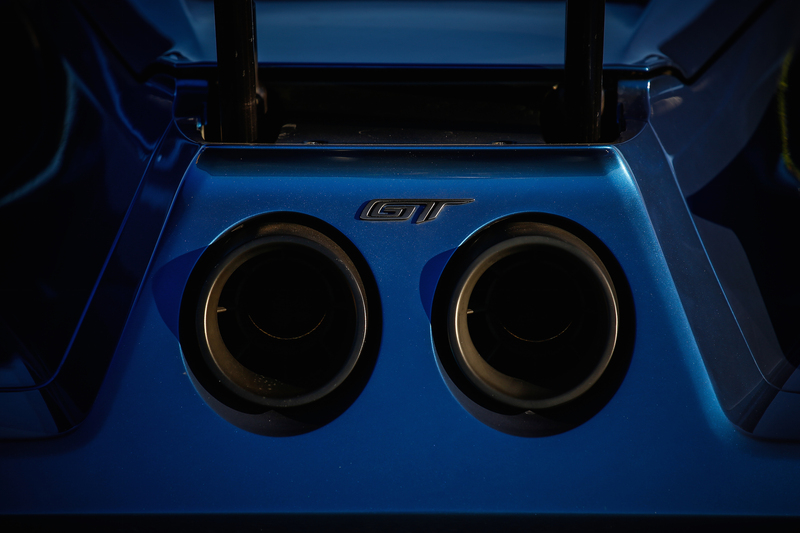 Take the engine, for example – Ford created specific anti-lag turbo technology that helps maximise the GT’s ability to power out of corners. It works by keeping the throttle open, even when the driver is off the accelerator. The fuel injectors are shut down, but turbo speed and boost are maintained for faster engine response and acceleration as soon as the driver hits the ‘go’ pedal. Enormous carbon ceramic brakes provide a substantial amount of stopping power, while pulling on the paddle shift gearing results in whip-crack cog shifts throughout the box. A clever rear wing, which provides a large chunk of the rear downforce, also transforms into an air brake when additional braking performance is required. And then there’s the pushrod-actuated inboard suspension, which requires a degree in engineering to fully understand but it means the ride is perfectly dampered no matter what driving mode or ride height is selected. 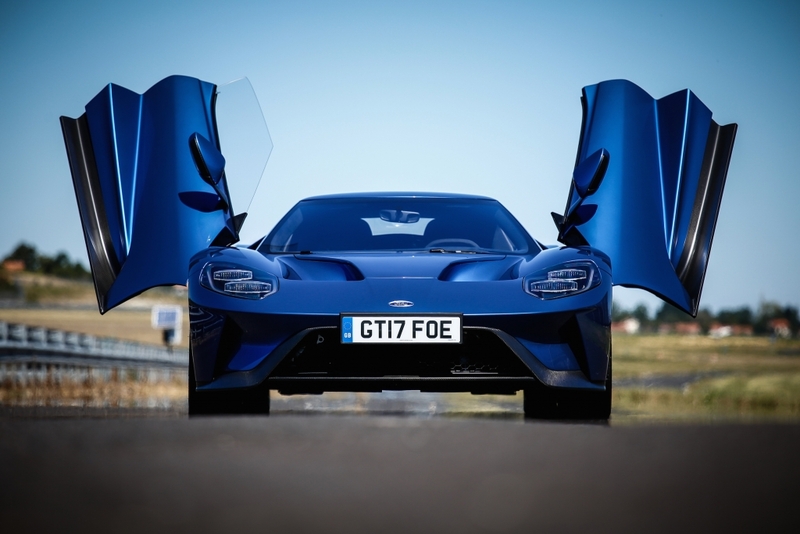 We still have no idea what it would be like to live with a Ford GT on a daily basis but we do know only a very limited number will be made and few of those will be driven as intended, instead locked away as investments. Which is a shame, because the engineers and designers who barricaded themselves in a top-secret basement would prefer it if this unicorn was driven. An all-American icon, but does it make sense in the UK?